Looking for Sewer Drain Cleaning? Do you have clogged toilets or slow drain sinks? If your tub or sink is draining slower than usual, or won’t drain at all, your drain is either clogged or damaged. Nationwide Property Maintenance plumbers are happy to unclog a drain and are available for kitchen drain cleaning, bathroom drain cleaning, and landscaping/French drain cleaning. We also offer water damage restoration services give us a call we can help. However, sometimes there are simple steps you can take yourself to clear a clogged drain. Read on to learn more. Kitchen Drains: With soaps, fats, grease, and food going down your kitchen drain, the inner walls of your kitchen pipes can easily be clogged with buildup, causing an unwanted blockage. Bathroom Drains: Hair, soap buildup, toothpaste, grime, toilet paper, and other bathroom products can all do serious damage to your drains over time and cause major plumbing issues. Utility Room Drains: Dirt, debris, and other messes can clog floor drains in basements or utility rooms, leading to poor drainage and the potential for flooding. If you have standing water in the sink, attack the clog with a sink plunger. Fit the plunger cup over the drain and plug the overflow hole with a finger. Plunge the drain using four or five rapid thrusts at a time. Repeat the process several times. You’ll notice the sink draining very quickly if you successfully clear the clogged drain. Next, see what cleaning solutions you have around your house. Vinegar works well for clearing clogged drains, as does lemon juice. Baking soda, Borax and even salt can be mixed in for extra potency with one of the liquid ingredients. Once you’ve decided on a cleaning solution (of vinegar or lemon juice and one of the other dry powder ingredients), put on some eye protection and begin pouring the baking soda, Borax or salt down the drain. About a half cup should do. There’s no need to mix it with the vinegar or lemon juice beforehand, as the two ingredients will react with a foaming action as they come in contact with one another. This chemical action will help dissolve many normal drain clogs. 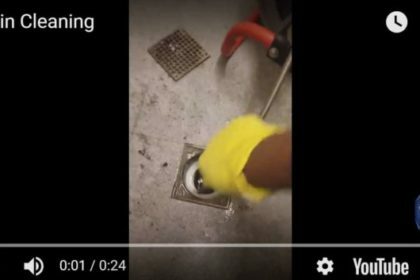 Cover the drain with a cloth for 15-30 minutes, during which time the solution should begin to dissolve or loosen the clog. Repeat the process at least one more time. Sometimes this is all that is necessary to clear a simple clog. 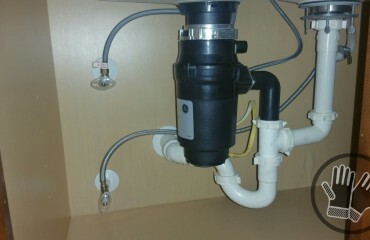 If the above remedy fails to work, get your sink plunger out again and form a tight seal around the drain opening. Again, use a finger to cover the overflow hole, and begin plunging to dislocate the weakened clog. For more effective plunging, fill the tub or sink with hot water to increase the pressure on the clog. 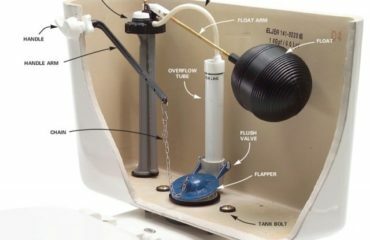 If you believe the clog to be in the sink’s P-trap, put a bucket beneath the trap assembly to catch water and remove the trap. You can then clean the trap manually over a garbage can using a piece of stiff wire or a coat hanger. If you don’t want to remove the P-trap, take a metal hanger and stretch it out with one end curved like a small hook. Begin to feed the hanger into the drain until you come in contact with the clog. Try to position the hanger so that it can penetrate the clog and twist repeatedly. Once you’ve snagged the clog, begin pulling it back up the drain. Have paper towels and cleaner nearby, so the dripping clog doesn’t stain your floor, tub or sink. If a hanger doesn’t work, or you don’t have one available, you can purchase or rent a plumber’s snake, otherwise known as a cable auger. This is a long coil of steel wire designed to reach deep into a drain to clear clogs and obstructions. The hand crank models are safe for novices to try but the electrically powered mechanical snakes can be very dangerous for the inexperienced. Once you have the hand crank auger, feed it into the drain until you feel it stop at the clog. Try to feed more cable in so that it pierces the clog. Then begin turning the crank handle on the auger and attempt to chew through the clog. You can reel the snake back up and dispose of the obstruction connected to the end. Once you’ve cleared the clogged drain, flush very hot water down until the water is draining normally. 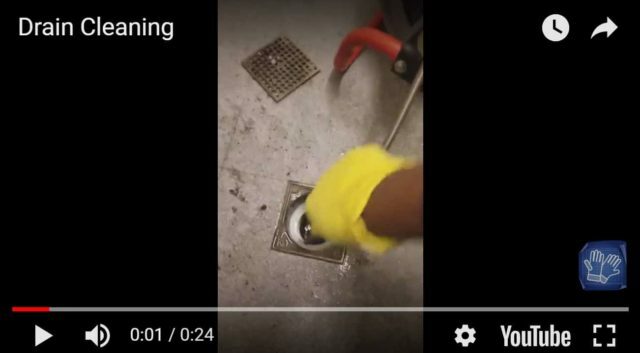 Need Professional Drain Cleaning Services?